The premier gathering of leaders from Turkey and the United States, which is jointly organised by American-Turkish Council, Turkish American Business Council and Turkey's Foreign Economic Relations Committee, will last until October 20. Throughout the two-day Conference at the Ritz-Carlton Hotel in Washington, Turkey-U.S. relations will be discussed in-depth and participants will hear from such government and business leaders as Turkey's State Minister for Foreign Trade Zafer Caglayan; U.S. National Security Advisor General James Jones; the President and Chairman of the U.S. Export-Import Bank Fred Hochberg; the Deputy Secretary of Energy Dan Poneman; Turkey's Undersecretary for Foreign Affairs Feridun Sinirlioglu, Undersecretary for National Defense Murad Bayar; TOBB President Rifat Hisarciklioglu; and the Chairman of Koc Holding Mustafa Koc. Turkey's Deputy Prime Minister and State Minister for Economy Ali Babacan is expected to be the opening keynote speaker for the Conference which is organised this year under the theme "Achieving Common Objectives". U.S. Defense Secretary Robert Gates will join Turkey's Minister of National Defense Vecdi Gonul, as luncheon speakers on Monday. Panel discussions on defense and security affairs, energy and infrastructure, banking and finance, agribusiness and food industries will be held during the annual conference. The first meeting of the "Framework for Strategic Economic and Commercial Cooperation" between Turkey and the U.S., which was established during Premier Recep Tayyip Erdogan's trip to the U.S. in December 2009, will also be held within the scope of the Annual Conference. 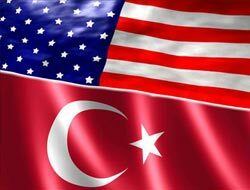 Turkish Ministers Babacan and Caglayan, U.S. Secretary of Commerce Gary Locke and U.S Trade Representative Ron Kirk will attend the meeting which is set to be held on Tuesday. The "Strategic Framework" aims to enhance commercial and economic cooperation, boost bilateral trade, attract more direct investments from U.S. to Turkey. A road map is expected to be drawn out in this respect with the participation of relevant bodies from both parties. A cooperation agreement in the areas of science and technology will also be signed between the two countries during the conference.